The striker is set to become the first Sierra Leonean and the second African behind Dominic Oduro of Ghana in the league’s history to reach the milestone. The former Columbus and Revelation attacker will join others such as Brad Davis (392), Brian Carrol (371), Chad Marshall (371), Bobby Boswell (366), Landon Donovan (340), Jeff Cunningham (365) Dominic Oduro of Ghana (336) and Cobi Jones (306) to name a few to have reached the milestone. Without a doubt, Kamara will lead the lines against his former club Houston Dynamo as he bids to register his 100 MLS regular season goals at the BBVA Compass Stadium. During the early stages of his career, he scored seven goals in 32 appearances for the Dynamo in the 2008 – 2009 seasons. The striker opened his 2018 Whitecaps account in their 2-1 victory over the Montreal Impact last Sunday in the opener of the 2018 Major League Soccer goal campaign. Speaking to Whitecaps journalists, Kamara said it is true they called him old for a reason but was also quick to acknowledge how far he has come. “It’s good to always play against old team, and for me, that is the whole MLS – so it’s good. 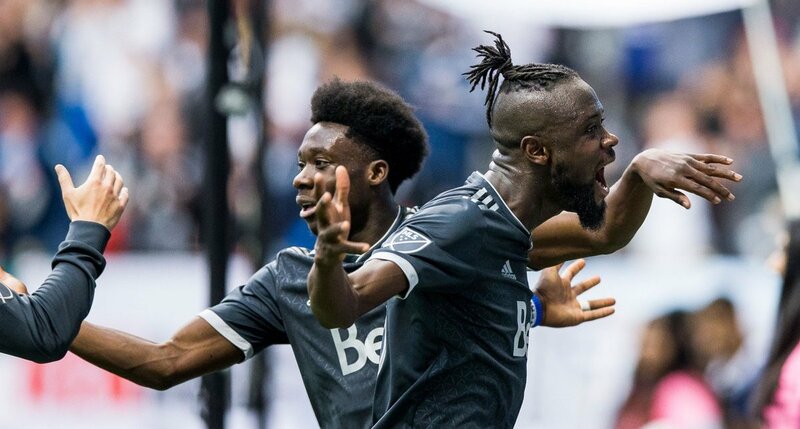 The Sierra Leone native arrived in Vancouver with a history and that includes 103 goals and 39 assists in 246 starts and 298 appearances in his MLS career, including 12 playoffs matches. He is the 12th player in MLS’s history to eclipse the century mark in goals. "Having the atmosphere that it was on Sunday…it definitely boosted us to the win."